MISSION: Building beautiful homes at beautiful prices while empowering communities to create sustainable neighborhoods. G & C takes a 360° approach to reviving neighborhoods by not only purchasing and rehabilitating properties, but also by assisting local residents in qualifying for mortgages as well as providing rental opportunities. 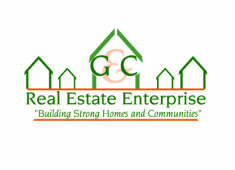 An integral aspect of G & C's commitment and success has been the establishment and maintenance of positive relationships not only with lenders, investors and government officials but also with our homebuyers and tenants. G & C has established a solid reputation for being a results oriented and dynamic business with the ability to synchronize multiple teams and projects concurrently. Coupled with effective staff at all levels and a management team with diverse and relevant backgrounds, the leadership of G & C strives to rebuild urban communities. Available Properties - Beautiful Renovated Properties! Property Management - Services to keep your property in shape! Credit Counseling - Join a credit counseling course today!